- This spring of 180 mm in length can be adapted to any trampoline using springs of this length. Technically, this spring has a steel wire of 3.2 mm in diameter, and a coil with a diameter of 26 mm. This diameter gives much appreciated power to any recreational trampoline for adults and children. - This spring has two hooks, one which is more open and can be easily fixed to the framework of your trampoline and one which is more curved, therefore capable of being solidly and durably fixed to the jumping mat. 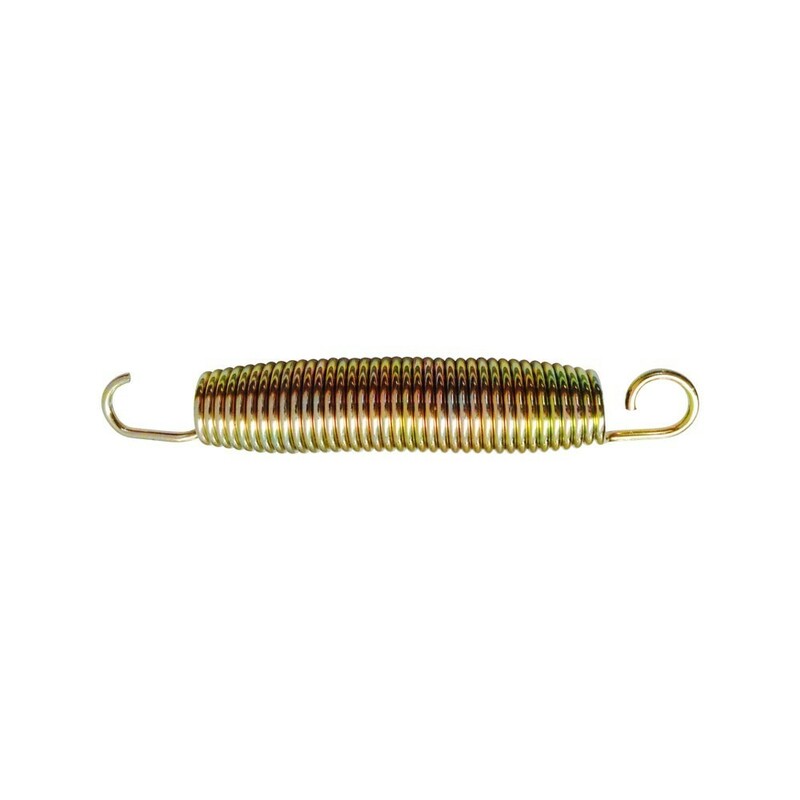 - These springs can be used on the Jump’Up, Apollo Sport 300 and Ovalie 430 trampoline ranges. They can also be used on any trampoline using springs of 180 mm in length, hooks included. To remove your old springs, we would recommend using a hooked clamp to stretch out the spring and remove the hook easily by placing pressure on the coils.